What is Magento Platform? Magento is an e-commerce platform that’s geared toward online retailers which include a flexible shopping cart system. With the use of the Magento platform, the user can control the content, the way the site functions, and the overall look of their e-commerce store. Also, Bing Digital offers site management to assist any business with their Magento e-commerce site, helping to maximize marketing tools, search engine optimization, and catalog-management tools that Magento offers. If you’re looking to launch an online e-commerce site and you’re having trouble deciding which platform to use, below are seven benefits of selecting the Magento e-commerce platform. Magento is known for its modern design trends. There are hundreds of Magento web designs (a variety of templates and themes) to select from, allowing each online shopping business to customize their websites. 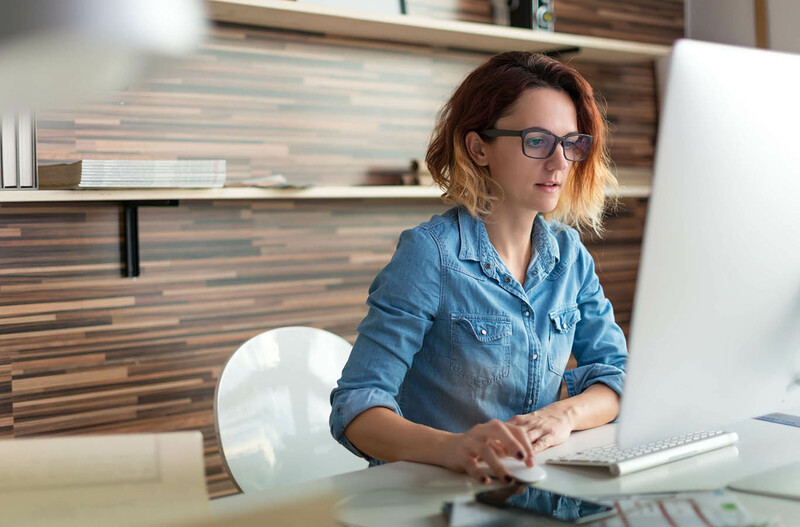 By offering a variety of web designs, businesses can make sure their site’s design aesthetic supports their branding efforts. Customers want to be certain that their personal information is secure when they enter it on a site. Magento is known for its order security. Unlike other host sites, Magento can host multiple websites on one back-end admin only. This important feature alone is what makes Magento so popular. For example, you can create men’s and women’s division of your store and share the data between the two. Although you may not have a reason to move your website from one host to the next, a business isn’t obligated to stay with any specific hosting site. With Magento, an e-commerce retail store is free to select their choice of hosting site without being penalized. This allows online shopping businesses to choose the host that’s most cost-efficient and effective for their business. As most online users now access the Internet from their mobile devices, it’s imperative that a business’ website is mobile-optimized. Magento is mobile-optimized, and known for staying up-to-date with mobile web design standards. By being mobile-optimized, it allows Magento to be an SEO solution keeping up with SEO ranking factors. Magento has product management options that not only keeps track of inventory but includes custom reporting features. With Magento, an online store owner can effortlessly review their transaction history, update product descriptions, add images of inventory (or other content), export reports, customer purchase history and update inventory (add and remove). Third party integrations such as MailChimp, various social media applications (Facebook, Instagram, and Twitter), and PayPal are some of the major web applications and payment gateways that can connect to Magento. Third party integrations allow for a more time-saving, efficient, and effective way to market. You’re able to operate across various platforms all from one. Another feature that sets Magento apart from the others is it offers the option of a variety of languages. The fact that Magento supports multiple sites allows for multiple language options. Another benefit to Magento is it provides the opportunity to pay in foreign currencies, while many open source e-commerce hosts don’t have this option. Having the flexibility with currency makes Magento the best option for domestic and international companies to use.